Germany’s Siemens AG will help Vietnam build smart infrastructure for sustainable development under a framework agreement on industry and energy cooperation signed between the two sides in Berlin on April 9. 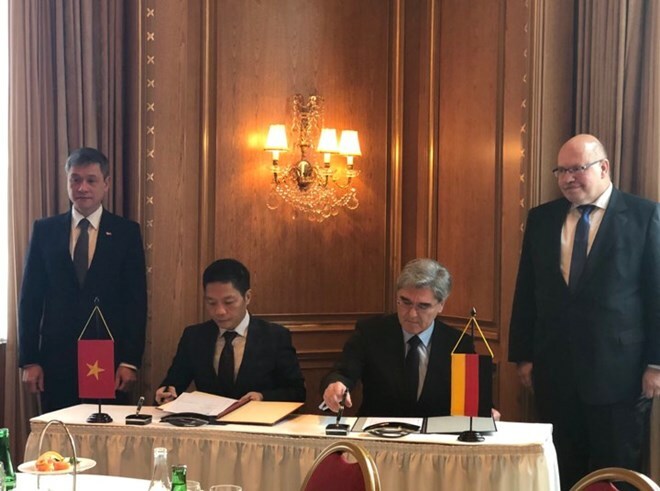 The deal, inked by Minister of Industry and Trade Tran Tuan Anh and a representative of Siemens AG, is part of the roadmap towards realising the joint statement issued by the Ministry of Industry and Trade and the German Ministry of Economic Affairs and Energy last month. Smart infrastructure development for Vietnam is made based on the country’s economic, energy, and industrial production situation with a view to making Vietnam an industrialised economy that pursues sustainable development in the near future. It looks to ensure sufficient and sustainable energy, train high-quality human resources, and carry out the Green Growth Strategy and infrastructure development plan in the country.